Cranking up the amps might give a short term gain of listening pleasure. But if at 40 you need a hearing aid? The short term gain is now a long term pain. Loud music is becoming very common in modern cultures. Young men whiz by in their cars playing music at alarmingly high volumes. People can often hear the music being played through someone else's I-Pod at the gym. Music concerts and bars which generate more noise than a Boeing 747 aircraft on landing. Whilst young and invincible, these problems eventually catch up with most people over time. It is becoming an alarming trend. Too often music is being played at a volume far beyond a safe level of hearing. The unit of measurement for sound, decibels, has been quite handy in helping scientists to understand the extent to which human ears can tolerate noise before risking their hearing. A normal conversation with another person is roughly 60 decibels. The sound of a telephone dial tone moves up to 80 decibels. The oncoming sound of a Subway train is 95 decibels. It is at 90-95 decibels where the noise may be potentially harmful with sustained exposure. After reaching 125 decibels, noise pain begin. Much of today’s music is played in between the harmful area and the “pain” area. At gyms, shops, concerts, festivals and many more. Can such a level of loudness be sustained without damaging one’s hearing? No. Doctors are trying to educate the current generation about the dangers of listening to loud music. “The youth of today need to know there is no need to turn up the stereo full volume to enjoy a song.” Phillippa Faulks (link below) shares her story of what happened when she ignored the advice of everyone around her and continued listening to very loud music. The NIDCD (link below) believes fifteen per cent of people in the US risk losing their hearing due to the overexposure to loud music. Music is something which can be enjoyed by everyone, young and old. 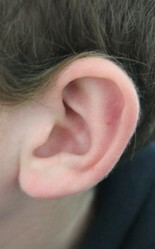 Educating young people in the value of having a good sense of being able to hear things clearly and teaching them to appreciate the value of hearing may be enough to persuade them to turn the volume down. Music has never been the risk. It’s the volume at which the music is being played which puts people at risk. Warnings have been given by doctors about overexposure to loud noises, deaf people who listened to too much loud music have warned other against it. It’s time to turn the volume down and preserve our hearing and spare our ears the punishment. Quality, not quantity, is the key to the ultimate listening experience. Quality ear or head phones are an excellent long-term investment in terms of both hearing health and listening enjoyment.